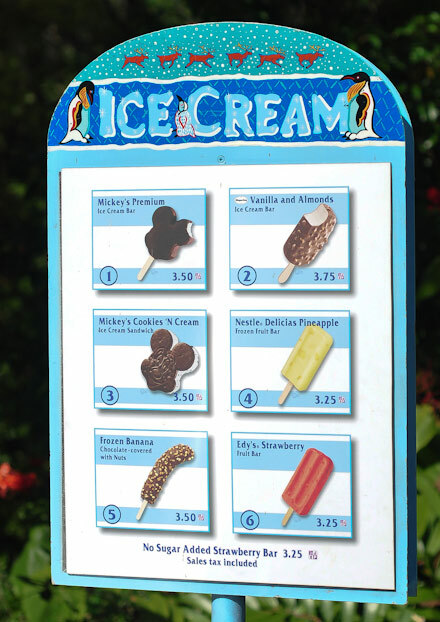 Picture of the ice cream menu at the Magic Kingdom at Disney World, Florida. The Mickey’s Premium ice cream bar, shaped in the classic Mickey Mouse shape, looks like the best one, but the healthier choice is easily the Edy’s pineapple fruit bar. These are prices as of November 2011 – Disney World Ice Cream menu with prices.